Ucancam V11 Engraving Software is a professional solution to CAD and CAM. It is widely used in such fields as advertisements, exhibition, decoration, artwork, moulds, seal-making, signs,gifts, architectural moulds, wood working, etc. There is a powerful drawing and editing function in ucancam. Ucancam supports the feature point snapping、dynamic navigation、feature point aligning. many files can be imported into Ucancam, such as vector files: dxf, eps, plt, AI and bitmap format files: jpg, bmp, tif, png. Functions of image processing include Image tracing, Convert into grayscale image, Threshold, Brightness and Contrast adjustment. With these functions, you can extract contour of the figure, and then get the target cutting figure you want after node editing. Text can be rotated, scaled, moved, sheared, arranged along curves, etc. and can be edited again in text edit mode after these transformations. Besides, text input in a frame is also available, with automatic line feed. 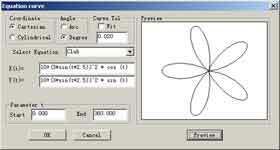 This function is used for making some designs of serial number texts. Boolean operation includes join, common, not common and subtract. Precise calculation, such as in hole nest, to improve the efficiency of working and utilization rate of material. Functions in node editing include: add, delete, disconnect, connect, close, convert to line, convert to curve, smooth, symmetry, align, start point, auto remove points, fillet, and vertical. Support Python macro script lanuage to create geometry objects. Toolpaths are calculated quickly and accurately. Ucancam provides a Tools Library where users can choose, edit, add or delete a tool. Various machining solutions are available. Users can apply toolpath simulation to check whether toolpaths are valid and to preview machining results. 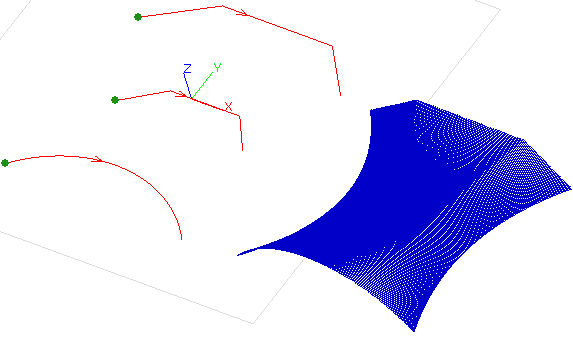 These simulation functions are also useful to reduce trial cutting times and cut down machining costs and help users to get valid and effective machining results. Profile Machining is widely used for incising. It includes On Line, Outside, and Inside machining. Ramp is to plunge in a certain angle. Tools goes into the material not in a vertical direction but in slanting direction so that the tool will not be destroyed or broken because of force during entering material. This also ensures that no mark or scar be left on the surface of the material. When using Pecking plunge, the tool goes into a certain depth into the material, and then goes up to a certain height, and repeat this process when cutting the material. Pecking plunge prevents the tool breaks especially when cutting hard materials. When using Lead in/out, the tool first goes into a certain depth outside of material, and then cuts into the side of the material. The difference with traditional machining is that the tool is cutting materials along both the X,Y plane and the Z axis direction,which makes full use of and protects the tool and improve the effiency of cutting. You can modify the start point of profile path by click the start point, and keep the left mouse key down, drag the mouse to move the start point. And the same time the plunge will be modified by the parameter of dialog. The Trochoidal Toolpath is designed especially for brittle materials such as glass or granite or extremely hard materials that generate a lot of heat upon cutting. The Trochoidal Toolpath produce a circular toolpath at high feed rates with low load on the tool, therefore keeping the heat down while providing for longer tool life. Area Clearance is to mill an area in the material. There are two types of milling: raster and offset. It is commonly used in our work.Offset (a maching strategy of Area clearance) has changed the line-transition into arc-transition and the small arc has been added as a transition for sharp corners , make it comfortable for high-speed milling. Slot milling is very difficult in area clearance. 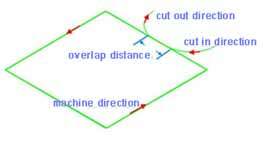 because the tool is in double side cutting.but in ucancam the trochoidal toolpaths are automatically added to mill slots in double side cutting. and the feedrate speed is reduced , finally protect the tool from breaking out . 3D Corner Engraving is to make the surface of the material smooth and to ensure the definition, precision and 3d effect of the machined object. It is mainly used in seal engraving and engraving of characters with special effects. 3D Corner Engraving includes top and bottom engraving, and the difference between them is the size of the machining area. 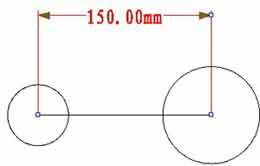 Midline machining is to machine along the middle axis of the drawing. You can Drilling on points, on curves, on the center of object or in region. This is a special function of engraving. It is an important measure to make sign marks and craftworks. Efficiency in milling can be greatly improved when applying Intelligent Machining. Two different tools can be chosen from the toolpath, the tool with lager diameter will be used for rough machining, and the smaller one will be used for precision machining. In the first machining, the speed is greatly improved, and after the second process, you will get what you want. By prism machining, it becomes easier for you to make characters with prism effect, and sign mark. Toolpaths can be created quickly and efficiently. If you want to make a massive work, it can be machined layer by layer, and you can fit them together when finished. 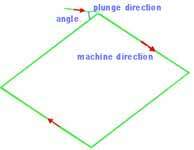 There are two kinds of angles for you to choose, rounded angle and cusp angle. The prism will display clearly. Prism machining is quick to learn and easy to use. Embossing machining is mainly used in making relief. 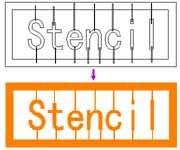 There are two modes in embossing: concave relief machining and convex relief machining. With ease operation, you will get accurate relief. It is widely used in such fields as advertising sign, sign board, breast card, furniture, metallic moulds, printings, etc. Image dot machining is to engrave the object after the image is converted into grayscale image. Dots are made on the material based on the different grayscale value. The higher the grayscale value is, the deeper and bigger the dots are, and vice versa. Image relief machining is to engrave the object after the image is converted into grayscale image. The machining is based on brightness level. Min brightness depth and max brightness depth are the depth by which the tool goes into the material. Horizontal/vertical machining is the direction of the tool path. 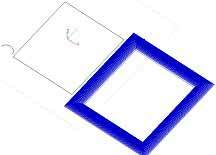 create toolpath between multile section curves . 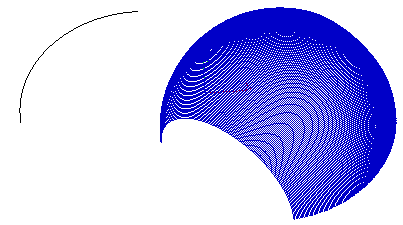 profile curve revolves with axis line. the section curve sweeps along the drive track curve . 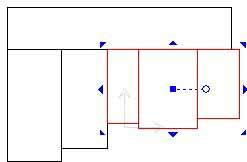 Perspective Distortion and Envelop Distortion can support the toolpath transform. especially can be applyed to the waveboard toolpath. Machining process can be previewed through toolpath simulation, thus avoiding trial cutting and reducing cost. 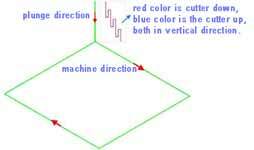 This function is helpful for choosing a proper machining type.